My mind is still shimmying and shaking through Rio with Steve the gorilla, after the release of Steve Goes to Carnival from this collaborative pair last year. 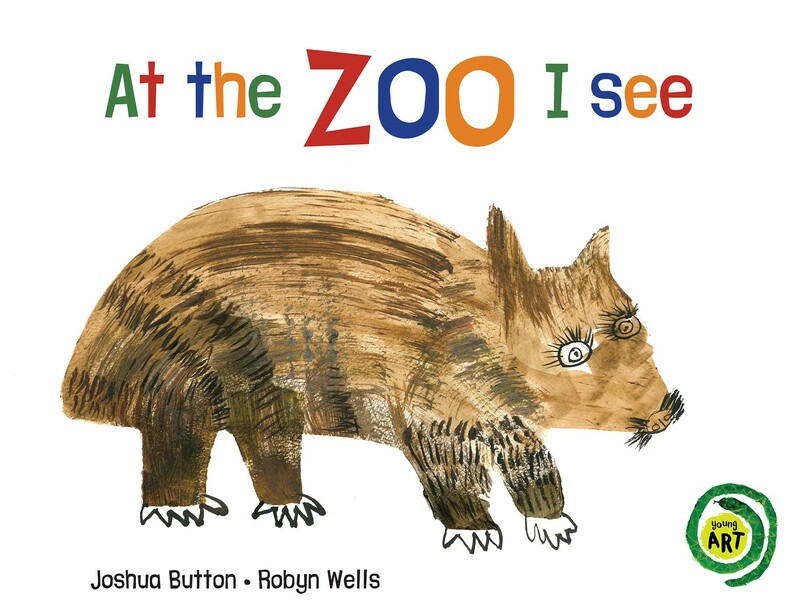 And, I'm thrilled to say, the duo is back with another line-up of endearing zoo animals. This stunning board book shines with quirk and colour as we're introduced to some of the more unusual native and exotic animals you'll find in Australia's zoos. Children are fascinated with animals from a very young age and it's refreshing to see such a weird and wonderful mix of creatures on show, from the cassowary to the quoll. I also love the gentle and unexpected descriptions of each animal. There is a loose, child-like charm to Joshua Button's lively illustrations that will captivate minds, young and old. Colourful, toddler-friendly text and a small, tactile format add to the appeal. This is the first in a new Young Art board book series from Magabala Books that showcases young Indigenous artists - and I'm sure I'll be prowling and pacing with these animals until the next release.